At GreenPartStore we have all the parts and accessories for any John Deere vehicle, and if we don’t have it, we can get it! 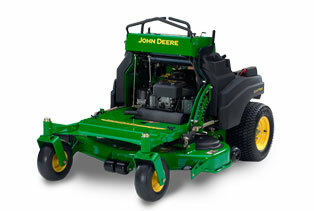 Here is our huge selection of parts for the John Deere QuikTrak Mower, organized by the model for easier browsing. We have all the parts and materials you need for performing important repairs and maintenance work on your QuikTrak Mower, including air filters, fuel hoses, drive pulleys, ignition keys, and more. Start by clicking your model number below, or if you already have a part number, you can enter it into the Part Search box above to be brought right to it.